*Frank Harris, chairman of the Journalism Department, was quoted in a Connecticut Magazine article about men’s health in the May edition. He participated in a roundtable discussion about men’s health coordinated by Kevin Lembo, state comptroller. *The legendary Jess Dow — who founded Southern’s football program and coached the team during the 1940s, 50s and 60s — has been selected for induction into the College Football Home of Fame next summer. An article about his selection appeared May 30 on the front sports page in the New Haven Register. He died in 2003, but had coached multiple sports teams at Southern and had served as the school’s athletic director during a 28-year career at the university. *Wallingford Patch published an article on May 28 about Angela Read, who graduated at the undergraduate commencement ceremony and earned a B.S. degree in nursing. She fulfilled her mother’s dying wish for her daughter to gain such a degree and to give it her all. She earned a perfect 4.0 GPA in getting her diploma. *The New Haven Register ran a story and photo on May 18 about the undergraduate commencement at the Webster Bank Arena in Bridgeport. Jerry Greenfield, co-founder of Ben & Jerry’s ice cream, delivered the commencement address to more than 1,200 graduates. *The Connecticut Post ran an undergraduate commencement photo in the May 18 paper. *The Hartford Courant ran an undergraduate commencement photo in the May 18 paper. *Channel 30 also included a brief piece on the undergraduate commencement during the evening news on May 17. *Channel 61 included a segment during the evening of May 16 about the graduate undergraduate ceremony, particularly the presentation of the Distinguished Alumni Award to four individuals who died in the Newtown shooting tragedy last December. Dawn Lafferty Hochsprung, Anne Marie Murphy and Mary Sherlach had earned a master’s degree at Southern, while Victoria Soto was taking classes toward her master’s degree. Victoria also was awarded her degree posthumously. *WQUN radio (1220 AM) interviewed Greg Paveza, dean of the School of Health & Human Services who also has been serving as interim dean of the School of Graduate Studies, about the presentations to the four people. The segment aired May 16. *WTIC radio (1080 AM) mentioned the presentations on May 15 in advance of graduate commencement. *Peter Troiano, interim vice president for student and university affairs, and Sally Sizer, a secretary in the School Health Education Department, were interviewed May 7 during the 11 a.m. news on Channel 30 regarding “dog therapy.” They discussed how Southern brought therapy dogs to campus a few days before final exams as part of an effort to help students de-stress before the tests. The program is designed to enable students to focus better during their final week of studying before exams. *The SCSU Veterans’ Association was lauded in a May 5 article in the New Haven Register. The veterans are presenting a $1,000 check Thursday to the Wounded Warrior Project (WWP) as part of a fundraiser for the WWP organization. *The Mary and Louis Fusco Distinguished Lecture was highlighted in a front page story May 4 in the New Haven Register. Alan Alda, former star of the 1970s/80s television series M*A*S*H and ex-host of the show Scientific American Frontiers, delivered this year’s lecture to a sold-out crowd at the Lyman Center. Southern’s undergraduate commencement ceremony, scheduled for May 17 at Bridgeport’s Webster Bank Arena, was mentioned in a May 4 article in the New Haven Register. Jerry Greenfield, co-founder of Ben & Jerry’s ice cream, will be the featured speaker. Daniel Ndamwizeye can still hear the screams of his mother as she was beaten to death, a victim of the 1994 Rwandan genocide that also claimed the lives of his father and two of his sisters. Minutes before she was murdered in a church where the family had sought refuge from machete-wielding Hutus, Ndamwizeye held his mother’s hand—and felt all the security that personal touch brings, especially at the age of 5. Over the course of about 100 days, beginning with the assassination of Rwanda President Juvénal Habyarimana on April 6, 1994, at least 800,000 Rwandan people—Tutsis and Hutu political moderates—were massacred by tens of thousands of Rwanda’s radical Hutus. Ndamwizeye’s family was caught up in the horror. Radicals told Daniel’s father, a Hutu, to kill his wife, a Tutsi, and his children. He refused and was murdered. Ndamwizeye’s two sisters were stoned to death when they fled the church in Rwanda where his mother was killed. More heartbreak followed for Daniel, who went on to suffer years of physical and emotional abuse at the hands of a relative charged with his care after his parents’ deaths. But Ndamwizeye is a survivor. He was issued a visa to the United States at the age of 15, when he was reunited with his older sister in Bridgeport. Fast forward to May 17, 2013. Ndamwizeye, who also goes by the name Daniel Trust, earned a Bachelor of Science in business administration degree. The undergraduate commencement ceremony was held at the Webster Bank Arena in Bridgeport. He has landed a full-time job with TD Bank. He spent the summer before his first semester in the Summer Educational Opportunity Program (SEOP), a program designed to provide students with an academic boost and prepare them for college life. While he says he probably would have done fine without the extra help, it was a great experience for adjusting and meeting peers. Ndamwizeye, who became a U.S. citizen a few years ago, said America has enabled him to pursue his dreams. Although he’s drawn significantly on his own inner strengths to excel, Ndamwizeye said he’s had help along the way, especially through scholarships that have funded his education at Southern. “I want to use the opportunities I have to help with scholarships (for others) because I feel lucky to have them,” Ndamwizeye said. Although Ndamwizeye has managed to pull himself through the trauma, the murder of members of his family and the ensuing abuse from his relatives have left emotional scars along with the physical ones. His legs are scarred from beatings he received after making minor mistakes like breaking a dish he was washing. The youngest of eight, Ndamwizeye has four surviving siblings—two sisters in the United States and two brothers in Rwanda. Another brother was killed before the genocide when a guitar he was playing was struck by lightning. While studies have shown that hyper-stimulation – caused by stress, nervousness and pressure – can negatively affect an athlete’s performance, the same thing can happen to students while studying or taking an exam. Whether you’re preparing for your college mid-terms, high school finals or SATs, stress can sometimes cause even the best students to “choke” under pressure. Some top-notch students excel in their Advanced Placement classes, but paradoxically end up with a perplexingly sub-par score on the SATs. Trying to find “the zone” between overstimulation and lack of enthusiasm is the key. And on major exams, especially for dedicated students, the former tends to be more of a problem. So, what kinds of stress-busting techniques can help you ace that final exam? Denise Zack, a counselor in Southern’s University Counseling Office, says there are some general tips that can help most individuals, and also some specific stress reduction suggestions based on how stress affects you. “Certainly you want to try to stay on a regular and healthy schedule as far as eating, sleeping and studying is concerned,” she says. *Don’t forget to breathe. It sounds silly, but you would be amazed at how many people hold their breath for extended periods of time. That prevents optimal amounts of oxygen from getting to the brain and the body. Try deep breathing exercises to help relax further. *Pet therapy. Studies have shown that just petting your dog or cat can lower your blood pressure, reduce your heart rate and elevate your mood. There is a reason why therapy dogs can be found in hospitals and nursing homes. But dogs don’t discriminate – they will help people of all ages. *Quiet your mind. No, that doesn’t mean yelling “shut up” to your brain. (That move might create a whole new set of stressors in your life, or indicate a much deeper problem.) Instead, try to focus on the present. Are you comfortable? Is there any imminent danger? The answer is usually no. Zack also notes that some techniques are more effective at dealing with stress that affects you physically or behaviorally, while other methods are better at helping people cope with the emotional or cognitive. Someone affected physically might be getting stiff necks or increased fatigue, while those affected emotionally might find themselves crying or getting agitated more quickly than normal. *Exercise. Walking, jogging, swimming, or almost anything that gets your blood pumping can be helpful. *Yoga. Not all of us are capable of bending ourselves into a pretzel, but any sort of stretching — gentle stretches for at least 20-30 seconds at a clip — can reduce physical signs of stress, as well. *Take a warm shower. It sounds simple, but it can help increase blood flow to the part of the body that may be bothering you. That reduces pain and stress. *Talk it out. Chatting with a trusted friend or family member can help lower cognitive stress levels. *Write it out. In a similar way, writing in a journal can be cathartic and provide stress relief. *Watch a movie in a warm blanket with some hot chocolate. It may sound like one of those after school TV movies, but it can work effectively. Humor, comfort foods and a relaxed atmosphere make a wonderful trifecta. Doctors and nurses use stethoscopes all the time to check the cardiopulmonary sounds of their patients. But the one Angela Read received from her dying mom four years ago continues to make her own heart beat with love for her, and with passion for the nursing field. Read, a Wallingford resident, recently graduated from Southern with a Bachelor of Science degree in nursing. She participated in the undergraduate commencement ceremony at the Webster Bank Arena in Bridgeport. It’s not her first college degree; in 2009, she earned a Bachelor of Arts degree in English from Eastern Connecticut State University. But it was during a graduation party shortly thereafter that her life changed significantly. 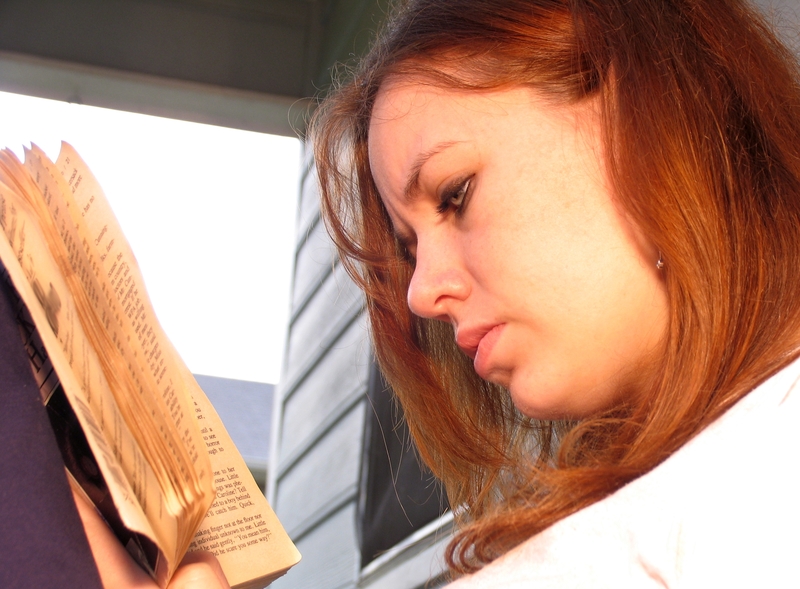 Read then began taking prerequisite classes for SCSU’s nursing program. And in four years, she earned that nursing degree with a perfect 4.0 GPA. That means, all A’s in every course. For the next two and a half years, Read added these duties to her day, in addition to being a full-time student. She eventually realized it was an impossible pace to continue. She decided to delegate most of the household duties to her other family members, which enabled her to move out and get an apartment closer to school in January 2012. But to do so, she also had to find a job. But last summer, Read finally got the break she needed in the form of several scholarships, which collectively covered her tuition. She was able to reduce her work hours so that she could focus more on her classes. And Read has earned several awards during her SCSU tenure. She was selected as a recipient of the prestigious Henry Barnard Distinguished Student Award, which is presented to four students at the university each year who exemplify academic excellence and service to the community and/or university. She coordinates an annual Read Family Fundraiser, which has a theme of “Spread the Word, Not the Smoke.” The proceeds from the fundraiser are donated to the Make-A-Wish Foundation. She will be working as an R.N. in the medical oncology unit at Yale-New Haven Hospital starting in June. Millions of college students cherish the moment of being awarded their diplomas at graduation each year. But not many can say that circuitous walk from their seat to the stage and back includes the presentation of a cup of ice cream, as well. But the Class of 2013 at Southern can make that claim. Jerry Greenfield, co-founder of Ben & Jerry’s ice cream, handed out complimentary cups of Cookie Dough to the more than 1,200 undergraduates during May 18 commencement exercises at Webster Bank Arena in Bridgeport. A total of 1,860 students were eligible to receive a diploma. And when their ice cream business began to flourish, the two considered abandoning it for fear of becoming “business guys,” a term they would regard as a pejorative. He said they had believed that businesses tended to be unscrupulous when it came to how they treated their employees, their communities and the environment. “We decided to see if we could integrate our social and environmental concerns with the day-to-day business process,” Greenfield said. And today, the company is known for its commitment to social responsibility and environmental awareness. She also asked the students to continue serving their communities and making a difference in people’s lives, just as they have during their years at Southern. “Reaching out to the others, serving the community and finding meaning in your own life – this is what it’s all about,” she said. Other speakers included: Jewel Mullen, member of the Board of Regents for Higher Education; New Haven Mayor John DeStefano Jr.; Teresa Sirico, president of Southern’s Alumni Association Board of Directors ; Marianne Kennedy, interim provost and vice president for academic affairs; and David Langer, president of the Class of 2013. James Furlong, university chaplain, delivered the invocation. Among the graduates was Angela Read, a student who earned her Bachelor of Science degree in nursing. Read earned a perfect 4.0 GPA and was selected for the Henry Barnard Distinguished Student Award, presented to four seniors each year who exemplify community/university service and who have at least a 3.7 GPA. She earned a Bachelor of Science degree from Eastern Connecticut State University in 2009. Her mother, April Read, had given her a stethoscope as a graduation present at that time because of the way she took care of her mother while she battled lung cancer. She had asked that Angela give 100-percent effort in pursuing a degree in nursing, which she did. A month later, her mother passed away. Angela will begin working as an R.N. at Yale-New Haven Hospital in the medical oncology unit. Another graduate was Daniel Trust (Ndamwizeye), whose parents and other family members were killed during the Rwandan genocide when he was only a child. He would later escape to Zambia with his sister’s fiancé when he was 11 years old. Four years later, he got a visa to come to the United States. He earned a Bachelor of Science degree in business administration and is now working at TD Bank in Fairfield. On May 17, two graduate commencement exercises were held at the Lyman Center for the Performing Arts. The afternoon ceremony included the schools of Arts and Sciences, Business, and Health and Human Services. The evening session included the School of Education, as well as the announcement of the Distinguished Alumni Awards to four individuals who died in the Newtown shooting tragedy who had ties to Southern. They were presented in memory of Dawn Lafferty Hochsprung, Anne Marie Murphy, Mary Sherlach and Victoria Soto – the first three of whom earned master’s degrees at Southern. Soto, who was still taking classes at Southern, was awarded her degree posthumously. NEWS NOTE: The New Haven Register ran a story and picture related to the undergraduate commencement in its May 18, 2013 edition. It also posted many photos online. The Connecticut Post and the Hartford Courant also ran a photo in their May 18 editions, as well as having posted many photos online. Ethiopia is home to the oldest and some of the most significant archaeological sites in the world. On January 30, Professor of Anthropology Michael J. Rogers and three Southern seniors — Jeff Banks, Travis Rohrer, and Patrick Whitney — traveled to the Afar region of the country to become part of a scientific expedition at the Gona Palaeoanthropological Research Project. Working through early March, they joined a group of about 30 scientists, local crew and Afars. The accompanying photos capture their journey — a quest to uncover fossils, artifacts and clues to mankind’s evolutionary history. “I don’t know of any other research project in East Africa that incorporates undergraduates to this extent. Usually, graduate students are lucky to be able to work at one of these famous paleoanthropological sites,” says Rogers. Rohrer, an anthropology major, says the experience was one he’ll never forget. “Not only did it help me fulfill my anthropology internship requirement, it also gave me the opportunity to work in a completely unique archaeological context,” he says. The group also worked at the Ethiopian National Museum in Addis Ababa with the Gona collection. While in the field, they divided their time between surveying and excavation, during which they uncovered several artifact horizons [areas that yield a high density of artifacts] and associated fossil bones. Rogers has been bringing undergraduate students to Gona since 2007, working alongside his friend and colleague Sileshi Semaw, a scientist at the Spanish National Research Centre for Human Evolution (CENIEH), who directs the project. Rogers brings extensive experience to the task, having conducted fieldwork in East Africa since 1990 and working specifically at the Gona Project since 1999. Read more about “The Big Dig” in the Spring 2013 issue of Southern Alumni Magazine. The No. 11 nationally ranked Southern Connecticut State University men’s outdoor track and field team had five first-place finishes during the final day of the New England Championships competition, May 11, and would go on to win the championships for the first time since 2011. Eleven members of the men’s indoor track and field team – seniors Twayne Forth (Brooklyn, N.Y.), Selasi Lumax (Somerset, N.J.), Brian Nill (Ridge, N.Y.) and Logan Sharpe (Esperance, N.Y.), juniors Omar Gonzalez (Bristol, Conn.), A.J. Guerra (Stafford Springs, Conn.), Nelson Laskoski (Pomfret Center, Conn.), Nick Lebron (Newington, Conn.) and Jimm Guerrier (Brockton, Mass.) and sophomores Michael Cameron (Hartford, Conn.) and Michael Lee (New London, Conn.) – have qualified for the NCAA Division II Men’s Indoor Track and Field Championships. The event will take place in Pueblo, Colo., beginning on May 23. At the New England Championships, SCSU scored an outstanding 159 total points, with Stonehill next in second with 66 points. SCSU had 15 All-New England honors on May 11, and 27 total, along with eight New England champions. There were also eight NCAA provisional marks along with one automatic berth. The first-place finishes went to Forth in the 200m (21.68 seconds), Lumax in the 400m (47.49 seconds), and Sharpe in the 400m HH (51.79 seconds) during single events. The 4X400 relay team of Sharpe, Forth, Guerrier and Lumax also finished first (3:11.07) along with the 4X100 relay team of Thomas Phommalinh (New Britain, Conn.), Forth, Guerrier and Lumax (41.91 seconds). The provisional marks went to Lumax, Sharpe and the 4X400 relay. Nill earned the NCAA automatic berth in second in the 800m (1:49.27). The remaining provisional marks went to Cameron in second (17.93m) and Tahir Parkes (Bloomfield, Conn.) in seventh (16.07m) during the shot put, and Lee in second (14.81m) and Guerrier in third (14.55m) during the triple jump. Please go to southernctowls.com for the complete release and other results. Mika Brzezinski’s new book, “Obsessed: America’s Food Addiction—and my Own” has reopened the periodic national conversation about eating disorders. When two individuals with successful careers in the media can talk candidly about their personal but painful experiences, the hope is that those battling similar demons will feel a little less isolated, and perhaps will find a path to a healthier lifestyle. Millions of Americans are estimated to have an eating disorder. 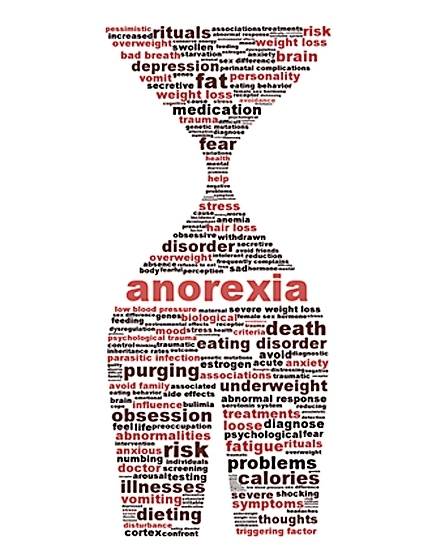 Among the disorders are anorexia nervosa (losing weight to the point where it is unhealthy), bulimia nervosa (cycles of binge eating and purging, typically through forced vomiting) and binge eating disorder (pattern of eating in excessive amounts in a short period of time). While eating disorders affect people across society’s demographic spectrum, females in their middle school, high school and college years are typically the most vulnerable, according to Patricia DeBarbieri, a professor of marriage and family therapy at Southern. DeBarbieri says the development of a healthy sense of self – which includes solid doses of self-esteem, self-confidence and self-respect — is very important in that prevention effort. She notes that a healthy sense of self contributes significantly to a person’s social and emotional development. In turn, social and emotional development builds resiliency, which is kind of a psychological/emotional vaccine against developing eating disorders. Just like flu vaccines, it’s not a guarantee you won’t come down with an eating disorder, but you reduce your chances significantly. And if you do develop a disorder, it is likely to be less virulent. Of note, she is not talking about the development of an inflated self-esteem or narcissism that many experts see as a growing phenomenon in society today. I am unique. Nobody else on the planet is quite like you, whether it is the way you think, act or proceed in life. It is important to help young people identify their uniqueness and celebrate their special qualities. This does not mean that everything you do is wonderful, nor are you always right, but nobody does it quite like you. I am connected. A strong support network is important, especially in the formative years. This can be to your family, your school, your hometown or your place of worship. It can also be in a larger context, such as connection to your state or country. I am comfortable in my body. The “beautiful people” tend to be the stars of TV, movies, advertisements and other forms of media. There is certainly nothing wrong with being beautiful, but the problem is that the images shown tend to be the exceptions, rather than the rule, within the population. Over time, that can negatively influence the way people view their own bodies since the large majority of the public can’t match up. It may be counterintuitive, but rather then encouraging people to eat healthier and exercise more, it can have the opposite effect as despair sets in at not being able to look like them. I am lovable. Unconditional love is said to be the purest form of love on earth. There are no strings attached. That feeling of being accepted and loved is crucial to a healthy self-esteem. I assert my power to make choices. An important factor in developing a healthy self-esteem is being able to assert yourself in making your own choices. Allowing other people to consistently make your decisions can chip away at your self-esteem. I have role models. Role models can fall into the category of people we know personally, as well as those who we don’t but admire from afar. They can also be fictional. But we have to be careful to choose positive role models whose values are similar.